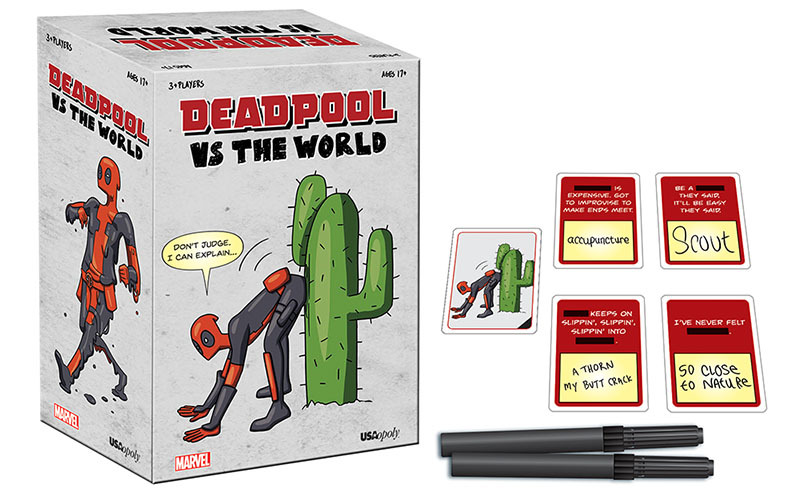 I know I don't normally post about all the different iterations of classic board games that USAOpoly comes out with, but these two really hit a, "well... that's interesting" chord with me. 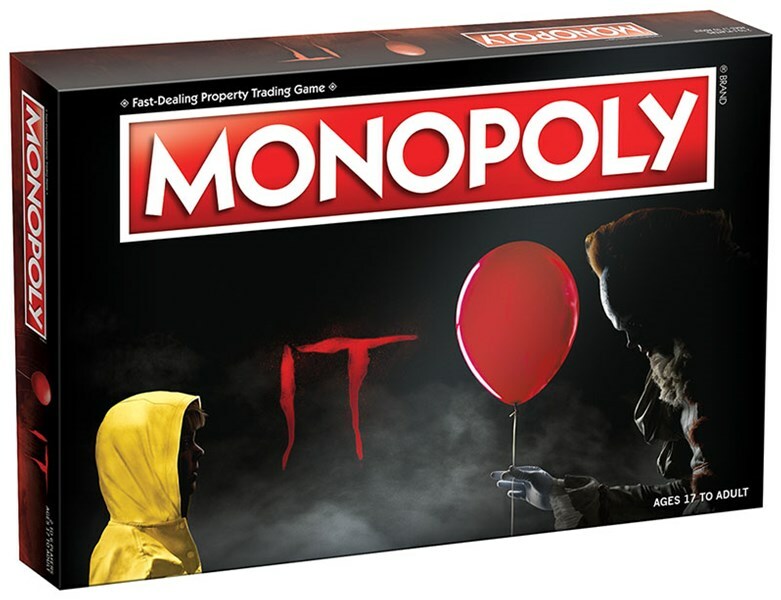 They have announced that they'll be releasing both a Clue and a Monopoly variant based on the IT movie (the most recent one. So, no Tim Curry, unfortunately), along with another game called IT: Evil Below. There's a new Marvel movie coming out soon in the form of Captain Marvel. 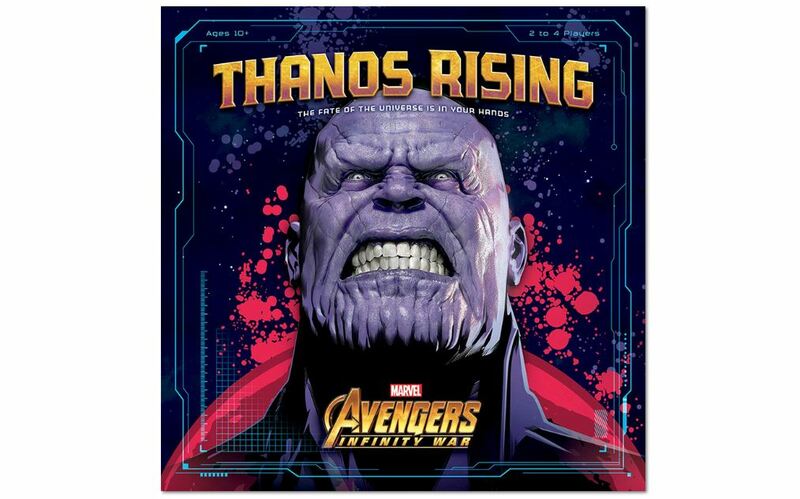 In it, the titular Captain must take on shape-changing Skrulls who are trying to take over the world. Now, you can do the same. 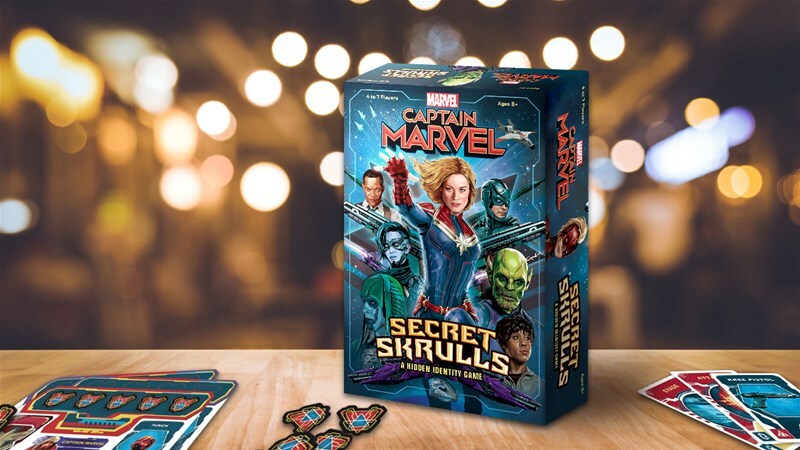 USAOpoly has released Captain Marvel: Secret Skrulls, where one player takes on the role of Captain Marvel while the others could be Skrulls, could be allies, or could be a Skrull defector. But who is who? USAopoly is bringing the Dragon Ball Z crew to your tabletops in a new game. Jump up the various levels as you train harder and harder. Get your power levels over 9000 and reach the top in your quest for the legendary Dragon Balls. Dragon Ball Z Power Up is coming later this fall. Samurai Jack is one of those cartoons I've meant to go back and watch (since I didn't really watch it when it was originally out), but just haven't gotten around to. I always did like the art style, and the story seemed pretty cool. And with a new game coming out for it, the impetus to watch it has grown. 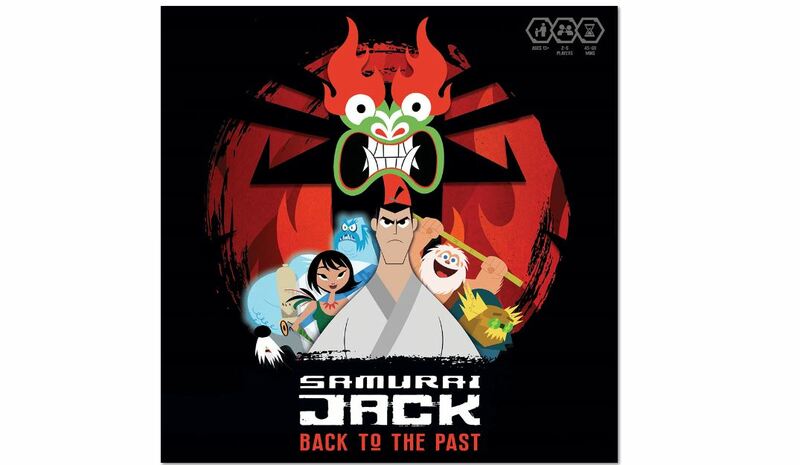 Check out this preview of Samurai Jack: Back to the Past, coming from USAopoly. We've all got questions that we'd like to ask, but "polite society" tells us that we shouldn't. Or maybe we're just too shy to ask. Well, in Privacy, a new party game coming from USAopoly, polite society can take a hike, and the anonymous nature of the responses means you don't have to be shy about answers. What sort of things do you want to know about? I have to admit, I've read very few fiction books. They're not really my thing. However, one I remember reading and enjoying was A Wrinkle in Time (actually, back in grade school, for a project, I even created a board game about it. So there's your gaming tie-in). The book will soon be a movie. 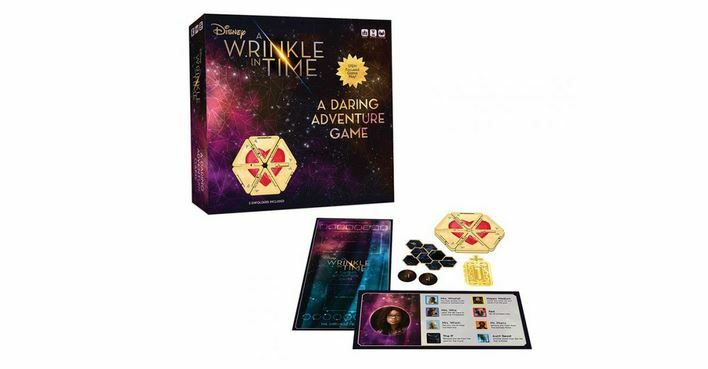 And that movie will soon be a board game (though no, it's not the one I created almost 30 years ago) from USAopoly called A Wrinkle in Time: A Daring Adventure Game. 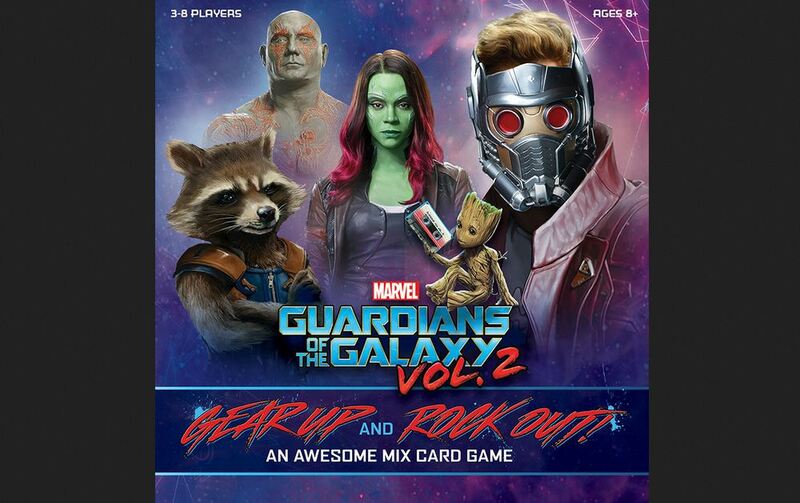 USAopoly has released their new card game, Guardians of the Galaxy Vol. 2: Gear Up and Rock Out! 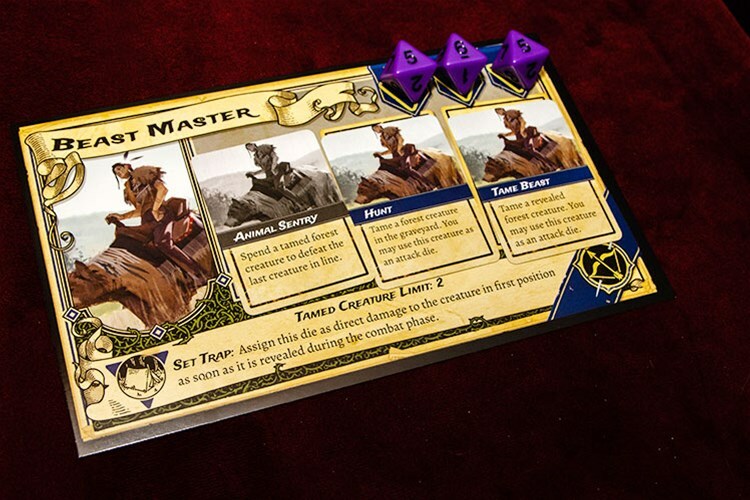 An Awesome Mix Card Game. 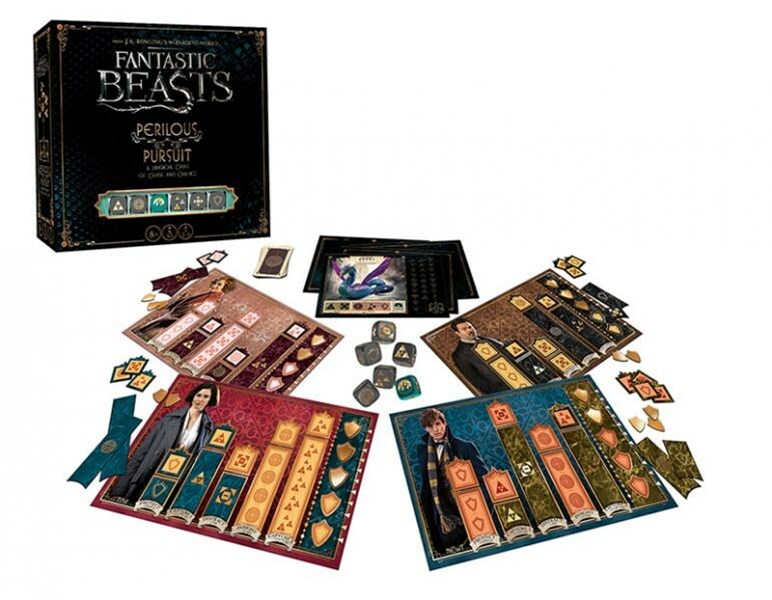 Players take on the role of one of the characters from the movie and are looking to collect all the best gear for themselves. But just because you have it now doesn't mean you get to keep it. And each round will bring new event surprises to keep you on your toes. Life in the antarctic is tough enough as it is. The cold, the wind, the possibility of being lost in a white-out. Throw in an alien looking to assimilate all of humanity and things get just that much worse. Double that when the alien can perfectly mimic anyone it touches. Who can you trust? Who should you burn? 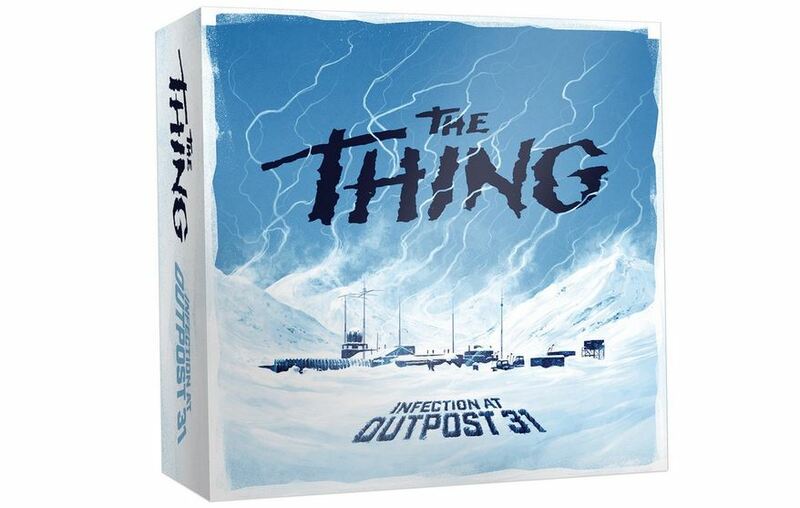 That's what you'll have to figure out in The Thing: Infection at Outpost 31, a new game coming from USAopoly and Mondo. Most of us have an LGS. Hopefully, it's a good one. The game stores that dot this planet are what keep the gaming community going. I know I wouldn't've probably continued with gaming if I'd not had some absolutely awesome shops that I gladly called my second home. Retailers and companies want to have a good relationship so that everyone benefits. 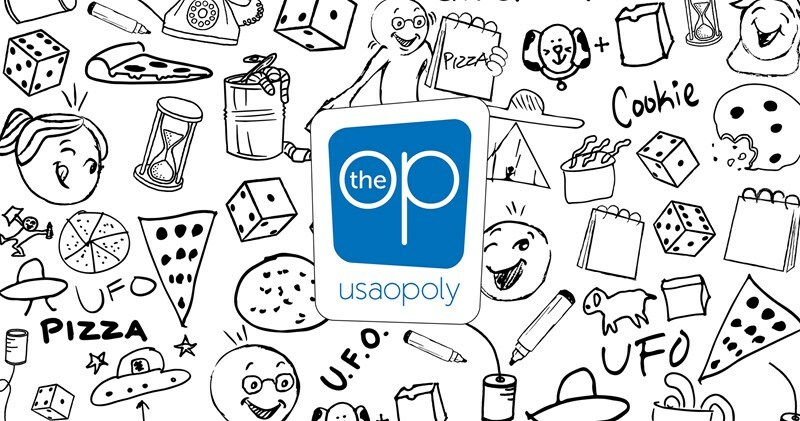 So that brings us to USAopoly coming out with a new Retailer Support Program. Whoooooooo's gonna save my soul now? Apparently, it's all up to me and the other characters from the show Supernatural. 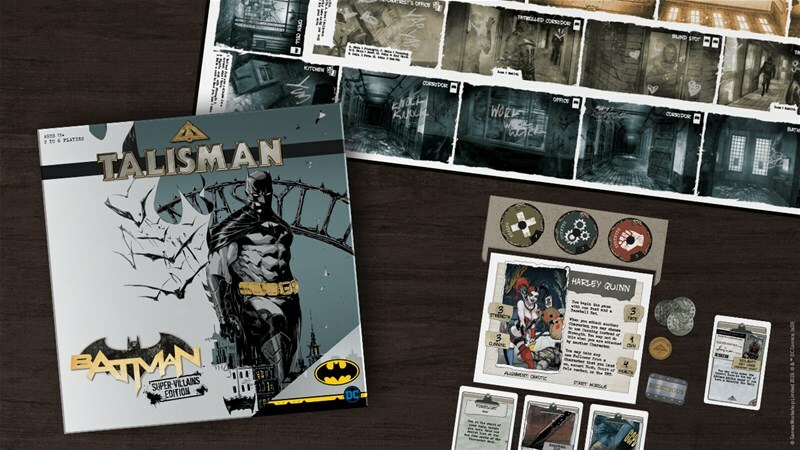 USAopoly is coming out with a new card game based on the show called Save Your Souls. 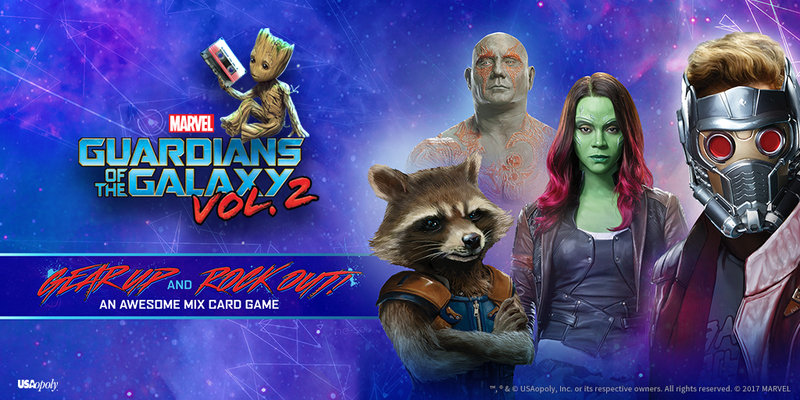 You know, I really should get around to seeing Guardians of the Galaxy 2... And for that matter, I should get around to seeing Guardians of the Galaxy 1. Ok, so I'm not exactly up-to-date on my movies. 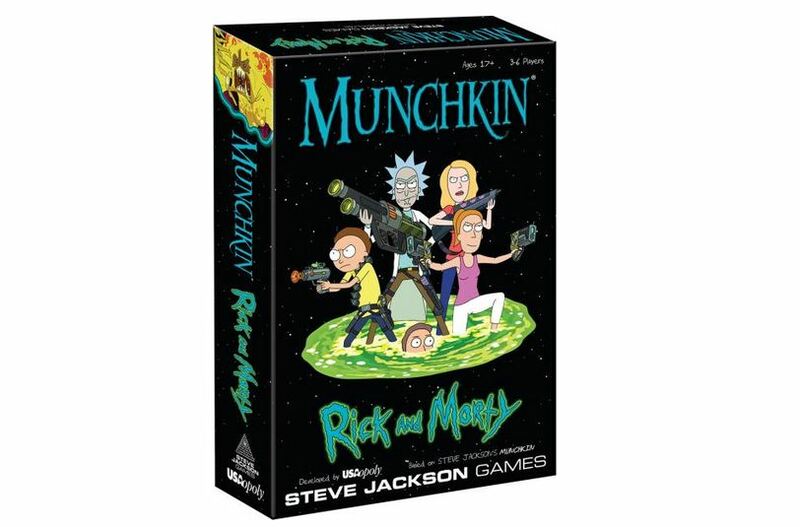 Though you don't have to have seen the movie to enjoy a new game that's coming out from USAopoly based on the mismatched group. It's called Guardians of the Galaxy Vol. 2: Gear Up and Rock Out!